I am using Oriflame Dual skin corrector concealer… you have oily lids so try using something oil free and that doesn’t crease so that you can enjoy the fuction without worrying about your eyeshadow creasing. 2. Now roughly apply a black liner on you lids, near to your lashline as shown in the pic…. Quickly blend the liner before it dries up as you don’t want to be harsh on your lids. I used Avon Kohl liner in Black. 3. Apply a black eyeshadow on the lower part of your lids, doing so will give a smokey effect to the look. 4. Now apply a plum shade on your entire lid, do not proceed above the crease. 5. Now taking pink eyeshadow on your brush start blending the plum and pink together. 7. Highlight your brow bone concentrating more on the Arch of the brow. 9. Blend the outer corner where your upper and lower liner meet, the encircled area in the pic..
You can see the difference !!! Use a light pink blush with highlight on apple of your cheeks and a soft plumish or pinkish lippie !! Hope u like it !! hey deeptima………….i kept staring on your eyes………………. and plz tell me hw do u clend the outer v of the eye where upper and lower liner meet………..??? wow!! ur so gud at this!! luv this look of urs!! n btw ur eyes r really beautiful!! Thanks soo much Surbhi !!! So pretty Deeptima :clap: ! I read somewhere that purples & plums are in this season! Peacock ? hehehe… thnx ! Cali I think it might be nice…I tried purple eyeshadow once at a counter and I thought it looked quite okay..I mean, I thought I would look straight out of some comic page…but it looked prettyish only..not bizarre at all…which is good enough for me. But then again, I suppose it depends on the shade of purple – seems good on Deeptima though and in the swatches also. Rads, it isn’t big! :giggle: , It might just be 2 inches long case. It looks big in the catalogue too! m happy it was helpful !! i’m going to request u a look now!! Meenal my brother was telling me not to put the palette’s pic…hehehe… tht was my 1st palette..
is that your real eye colour? Cali u have no idea how happy i am after reading your comment… i was very unsure if anyone would like the look or not… Thanks sooo much !!! Hugs and kisses ! Hi Monika, m still a student so i prefer using affordable and quality products… 😎 😎 Thanks soo much for your swt comment !! 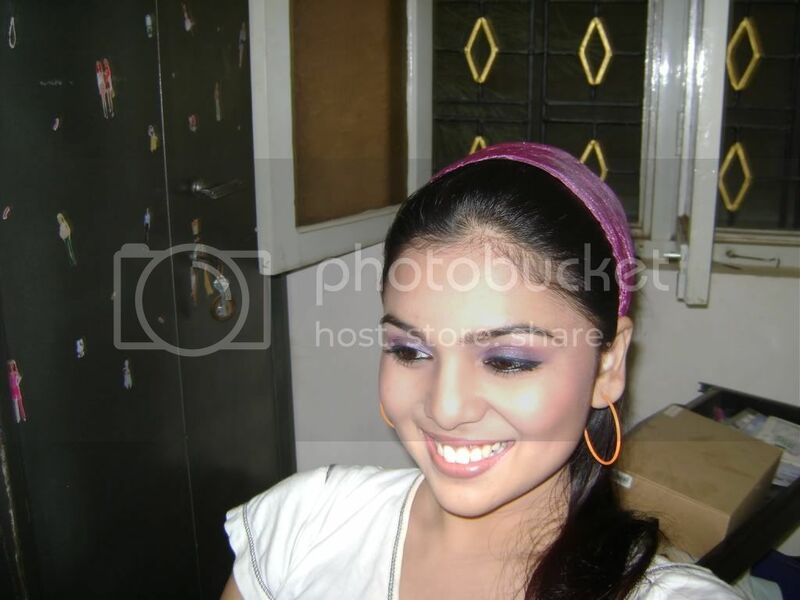 Awesum Deeptima :yes: :yes: :yes: :yes: …I keep staring at ur pics…MashaAllah!!!!! U hav gorgeous eyes :beauty: :beauty: :beauty: !!!! N u are reallllllllllyyyyyyy gud wid da eye make-up!!!!!! Luuuvvvvvvvvvvvvdddddddd ur tutorial :inlove: :inlove: :inlove: :inlove: !!!!!! PS: im so sorry rati for posting the links to my pics without your permission.. i was so excited that i forgot to ask you once before doing it..if you have any objection please let me know and i’ll never do that again..
im so sorry rati..i promise.. i’ll never do this again..
thanQ so much radhika.. 🙂 i was sooo excited after realising that i had done almost the same look and wanted to share it with all of you..in that excitement i completely forgot to ask rati before posting links..i realised that only after reading your comment..and that’s y i apologised to her in the below comment. Our products are not and have never been tested on animals. To the best of our knowledge, the ingredients used for our cosmetics are not tested on animals. And I absolutely adore Inglot for replying so promptly…errr…you mailed today only na? And it doesn’t even look like the same thing…is different colours ..and didnt look proper..so I did cover up….and and and..oh no more ands…only thing similar na..is eye makeup..thats all…beyond that no similarities only!!!!! @Sireesha: i love love love your look… u look soo pretty !! u a certified makeup artist ??? thanQ deeptima 🙂 no iam not certified.. i am a self taught makeup artist..i learnt tons of things on net..afte rhearing so many makeup guru’s advice i decided not to go to any makeup school right now..but in future i plan to attend a makeup school to learn special fx..